My kids like to help make these delicious biscuits with me, but I think they love eating them more! Preheat the oven to 400 degrees. Grease 10 cups of a muffin tin. Combine the pineapple, sugar, and butter, and mix well. 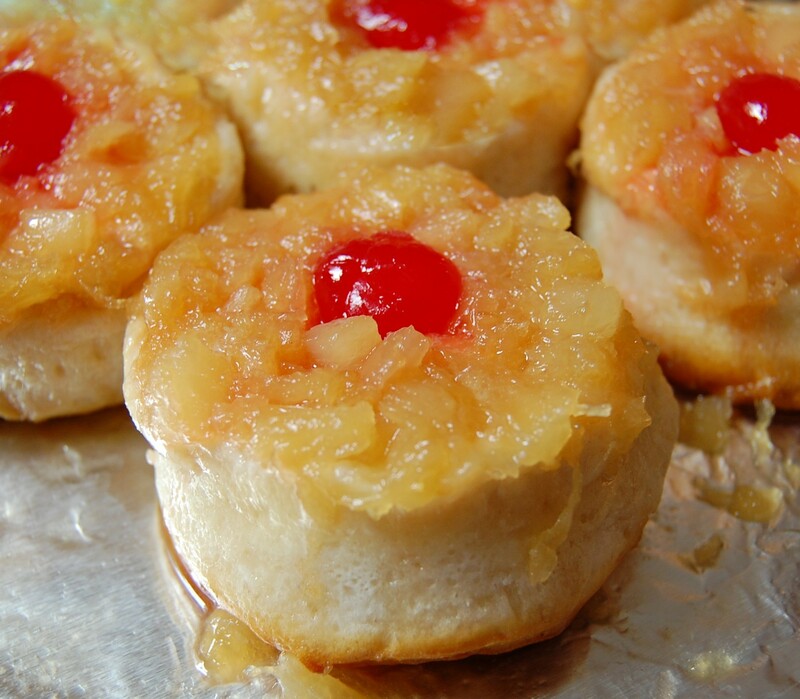 Divide the pineapple mixture among the muffin cups. Place a cherry in the center of each muffin cup, making sure cherry hits bottom of cup. Place 1 biscuit in each muffin cup over sugar and pineapple mixture. Spoon 1 teaspoon reserved pineapple juice over each biscuit. Bake for 12 to 15 minutes, or until golden. Cool for 2 minutes. Invert the pan onto foil or a plate to release the biscuits. Serve warm.